Ricardo was recognized as a top-performing global supplier for Ford Motor Company at the 20th annual Ford World Excellence Awards. Only 88 companies were selected as finalists from thousands of Ford suppliers globally. 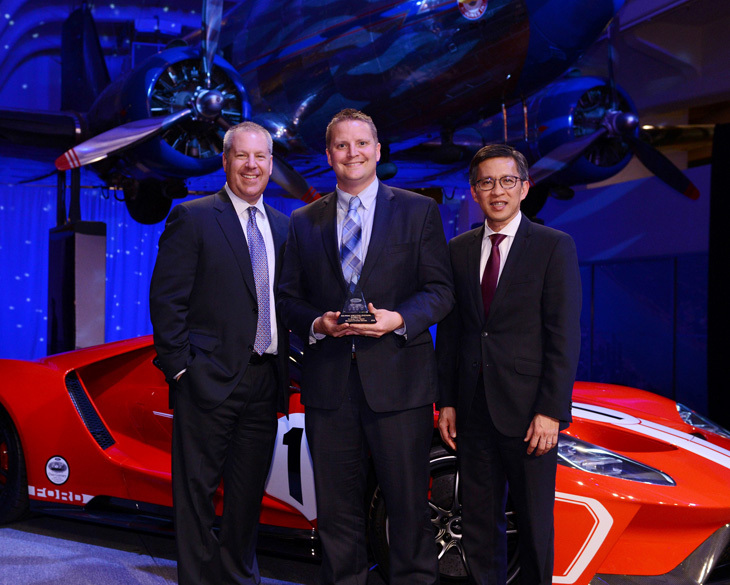 Ricardo Strategic Consulting president Derek Schlonsky was presented with a Gold World Excellence Award by Ford Motor Company’s Joe Hinrichs, executive vice president and president, global operations, and Hau Thai-Tang, executive vice president, product development and purchasing. “I am deeply honored to have been able to accept this award on behalf of the Ricardo Strategic Consulting team,” said Derek Schlonsky. "To be recognized by Ford and win this award for the third time in eight years is a testament to the emphasis Ricardo places on being customer- centric, and we are proud of our hard-working team of consultants who work diligently to deliver outstanding results for our great clients such as Ford."